Anyone who was wishing on a star for a non-miniatures post is about to regret that. One of the things I come to realise about life, which will be no surprise to those of you who have studied how video games work, is that nothing beats the high of working hard at something and then actually having it pay off. Which, I realise seems obvious but I am circling a wider point. When you are a young person, these tangible "big" wins are easy to come by. Pass the 11+, Get good enough GCSE's to get into college. Get good enough A-levels to get into university. Get a good degree. The Education system does a very good job of providing a steady diet of milestones for the first 21 years of your existence. I'm not for a minute saying that everyone needs to go to university, or that going to university is the best option, but it is my lived experience; and was always the expectation placed on me. So I thrust around for more things to build towards. Got my teaching certificate and eventually got a job. Good. Now I'm finally doing something that makes a difference. I should be winning all the time. Teaching is very cyclic. 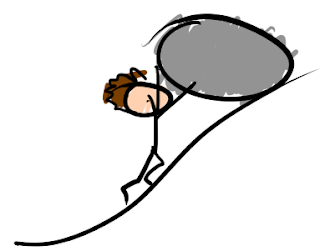 You come back in September and you have to start rolling the boulder up the hill. Again. Trying to connect with students again, so they might actually consent to be taught. Running the same lessons, teaching the same content, and trying not to sound to rehearsed. I do try and remind myself that the students that leave school don't factually disappear into a puff of inspiration once they collect their results. They go on and live lives and, probably I can take some credit for the things they go on and do. But from the fixed point that is the classroom, it doesn't always feel like that. I mean, I'm forever grateful for the four students that gave me lovely cards when they left. That reminds me of why I do what I do. However, I still feel like coming back to the same corridors and classrooms with different faces is weird. I have to do this again? Really? Last year was an adventure. We laughed, we cried. getting to the end, and getting the results for the kids seemed like a real victory. Starting again feels like it devalues that. How can something matter, if I have to do it again. Not logical, I realise. It's like how my wife complains that she hates doing the ironing, because tomorrow there will be more ironing. I owe it to these kids to teach them like it's my first exams cohort. For them, it's their one shot. To me it starts to feel like an endless chore. This is only my third September in my current job. 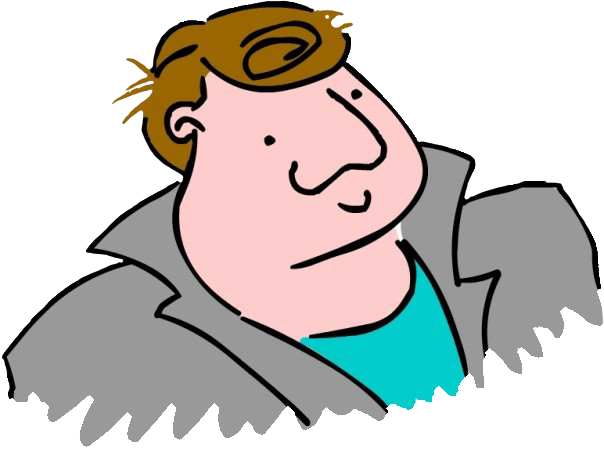 I expect things will be get easier when I am more familiar with the lower school, and the kids coming up in year 10 to do Computer Science are not completely new to me. Nevertheless. The subject I teach, I only really get to know those exam classes well. The lower school I see for an hour a week. What do I do about it? I guess I am seeking out other goals. I'm studying for an M.Ed. I sometimes wonder if I will end up doing a D.Ed after that; because I was trained to seek out education when without any other kind of goals. I've also decided to start trying to loose weight, to the point where I now actually voluntarily leave my house at 5pm Monday-Friday to trudge around the block where I live for half an hour. These things are undoubtedly positive outlets; but I still feel not quite back in my groove. Back to our regularly scheduled content next time. That might be fun at some point good sir.